As featured in Luxury Pools Spring 2016. 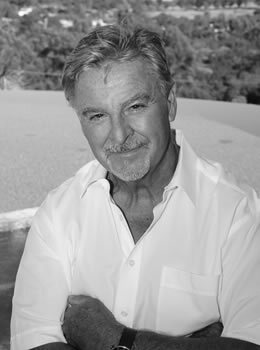 Skip Phillips, International Vanishing Edge Education Program Instructor and Questar Pools’ owner and founder, is one of the world’s most renowned designers and builders of custom swimming pools, spas and other forms of aquatic architecture. Skip has decades of expertise in Infinity Edge, Zero Edge and Vanishing Edge Design. His rise to public prominence first crystallized in 1993 when The Robb Report declared him “the world’s most influential swimming pool designer.” Since then streams of sterling kudos and commendations have flowed through almost-constant coverage in trade magazines, television segments including multiple HGTV appearances, newspapers and prestigious national publications including Better Homes & Gardens, New York Times and Wall Street Journal. In recent years, his high-flying profile has spread internationally through sources including Germany’s IQ magazine, Canada’s World’s Best and the Italian design journal Piscine Oggi, and by way of his live educational presentations in Italy, Australia, Bali and Germany. This considerable public and professional presence stems from Skip’s three decades of experience as an innovator and educator. As a prime example, many regard him as the world’s leading authority on vanishing edge design, having pioneered a number of the effect’s tricky aesthetic and technical details. (His vanishing edge design program was recently accepted for Continuing Education Units for the Architectural Institute of British Columbia.) He is co-founder of Genesis, an aquatics educational organization widely credited for transforming and uplifting the pool and spa industry. He has served extensively as an expert witness in lawsuits involving failed pool and spa projects and is past president of the National Pool & Spa Institute (now known as the Association of Pool & Spa Professionals). He is also an SWD Master, Society of Watershape Designers. At the heart of all his tireless activity, Skip’s body of work includes some of the most beautiful and technically advanced watershapes of the modern era. Many projects include commissions for a host of celebrities and other extreme-upscale clientele, where he is often found collaborating with prominent architects, landscape architects, developers and general contractors. Today, Skip continues to push the leading edge of Infinity Edge, Zero Edge and Vanishing Edge Design in his own work and remains dedicated to elevating the industry’s state-of-the-art through education and technical innovation through his International Vanishing Edge Education Programs. A tireless critic of the rank-and-file swimming pool and spa industry, Skip constantly champions elevating standards for pool design, pool engineering and pool construction. Graduated Orange Glen High School in 1971 - Honor Roll Student. Hydraulics school - Delavan, Wisconsin 1981. Structural engineering classes - Dallas, Palm Springs, and San Diego. Completed in excess of twenty classes on chemical balances in pools and spas, and manufacturer schools for equipment repair (i.e., pumps, motors, filters, and heaters). Certified Pool Operator (C.P.O.) graduate - Phoenix. Certified as a Professional Watershape Designer (Cert. # KM 002-05) by the Society of Watershape Designers and I.A.C.E.T. to date. Manufacturing precision measuring instruments for aerospace. President - Business encompasses retail, repair and pool service with 550 to 1100 pools on weekly service. Lic. #C53-372323. Industry’s Choice - Top 50 Builders Nationally in 1997, 1998 and 2000. Questar Pools is routinely requested to grace the covers and pages of San Diego Magazine, Decor & Style, San Diego Home & Garden Magazine, Custom Builder Magazine, Home Magazine, San Diego Home Book, numerous manufacturers' brochures and trade publications, including the cover of the book entitled "The Professional Pool Maintenance Manual", and 11 pool photos on the Internet for Wise Software. Profiled in The New York Times, The Wall Street Journal, Millionaire Magazine, Splash Magazine in Australia, and Piscine Oggi in Italy. SWD Master, Society of Watershape Designers. Co-founder of Genesis. The most advanced design and construction school in the world—IACET accredited. Questar Pools is routinely requested to grace the covers and pages of San Diego Magazine, Decor & Style, San Diego Home & Garden Magazine, Custom Builder Magazine, Home Magazine, San Diego Home Book, numerous manufacturers’ brochures and trade publications, including the cover of the book entitled The Professional Pool Maintenance Manual, and 11 pool photos on the Internet for Wise Software. Profiled in The New York Times, The Wall Street Journal, Millionaire Magazine, Splash Magazine in Australia, and Piscine Oggi in Italy. 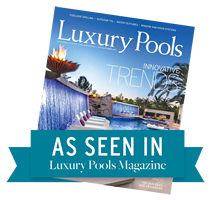 The Boston based Robb Report Magazine identified Questar Pools/Skip Phillips as "Internationally... the most influential pool designer." Skip was selected as one of the elite “Club 21” members in September 1994, along with such names as Armani, Ferrari, and Cartier. IQ Magazine/Catalogue 1997 in Hamburg, Germany also identified Questar as the sole resource for innovative pool design on a global level. Profiled in the 2001 “Orange County Home Show” television production. Questar is profiled in the Barnes & Noble Spring 2002 edition of Dream Pools. Featured in a six-page profile in Better Homes and Gardens special interest publication Garden, Deck and Landscape, Summer 2002 edition. Received the highest possible scores in all categories of the Los Angeles edition of The Franklin Report. Categories: Quality- “Highest Imaginable”, Value- “Worth Every Penny”, Recommend - “My First and Only Choice”. The Robb Report Collection Magazine, July 2005, Water Works article “Skip Phillips is widely recognized as one of the greats in the industry” “often touted as the finest infinity-edge pool designer in the world”. The Home Show, television program aired January 29, 2005 interviews Skip as a guest expert profiling his projects. HGTV profiles Questar projects, twice in 2006, In the Big Splash, Sizzling Outdoor Kitchens. The World’s Finest, book published in 2006 by Creative Classics, B.C. Canada. Author Michael Caldwell writes “Accolades abound for what many believe is the finest pool designer in the world”. Piscine Oggi of Italy December 2006 profiles Skip Phillips as a premier pool designer/builder from America. Piscine Oggi (January-March 2007) “The Pools of Jade Mountain” Feature on Skip Phillips’ participation at the resort on St. Lucia. Piscine Oggi (April-June 2007) “The Pool on the Roof that Burns” Feature on a pool built on top of a garage. Piscine Oggi (January-March 2008) “Efficient Silence” Article by Skip Phillips on VDF technology. Four Sided Transformation- Genesis 3 co-founder Skip Phillips renovated this slick perimeter overflow pool. Project profiled in Pool & Spa News, May 29, 2009 issue. Crediting Teamwork- For the good of the industry, recognize everyone involved. Article written for Pool & Spa News, May 29, 2009 issue. Refining the Planning Process- Activities Preceding Pool Installation. Article written for Pool & Spa Marketing, December 2009 issue. Building a Backyard Oasis- Learn how to create the poolscape of your dreams. Supplied images for Luxury Home Design, Issue 189.◻ Vanishing Edge Program- Approved for continuing education units for Canadian Architects. San Diego’s Best Pools- Step into our swimming pool fantasy. Supplied images of two projects for San Diego Magazine, August 2012 issue. Circulation From the Inside- Pool inlet configuration can make a big difference in energy savings. Experts explain how to achieve maximum efficiency. Contributed for article featured in Pool & Spa News, October 2012 issue. A Transformative Design- Project Profile featured in Aqua Magazine, April 2014 Issue. San Diego Home/Garden, July 2014, vanishing edge design profiled, "On the Edge"
Member - N.S.P.I. (National Spa and Pool Institute) and S.P.E.C. (Swimming Pool Energy Codes). N.S.P.I. San Diego Chapter Board 1981-1983. N.S.P.I. San Diego Chapter President 1983-1986. N.S.P.I. Region XI National Promote Chairman 1984-1987. N.S.P.I. Arbitration’s, San Diego County 1982- Present. N.S.P.I. National Vice President Region XI 1987-1990. Representing California, Hawaii, and Reno for the Pool and Spa Industry. N.S.P.I. National Executive Board 1991-1994. N.S.P.I. National President 1992. Skip took office in Atlanta and represented 4,400 builders, manufacturers, service companies, retailers, sub-contractors, distributors and Government agencies in the U.S. and over 50 foreign countries. N.S.P.I. Builders Council Board Member – 1998. S.P.E.C. Board of Governors 1984-1994. National Swimming Pool Foundation—Board of Directors 2016-Present. Speaker-Topic "Operating A Service Company" at the NSPI National Conventions in New Orleans 1986 and Reno in 1987. Speaker-Topic "Building Custom Pools" at the NSPI National Convention in Reno 1993. Speaker-Topic "Vanishing Edge Design" at the NSPI National Conventions in Houston 1992, Anaheim 1993, New Orleans 1994, Atlanta 1995 and New Orleans 1998. Speaker-Topic "Building Vanishing Edge Pools" at the Regional Conventions in Reno, Ft. Lauderdale, Chicago, Portland and Atlanta from 1993 to present. Speaker-Topic "Building Vanishing Edge Pools" at the National Aquatech School in La Jolla 1994, Fort Myers, FL 2011 peaker-Topic "Building Vanishing Edge Pools" at the Western Trade Shows in Los Angeles 1996 and 1997. Speaker-Topic "Advanced Vanishing Edge Design" at in excess of 15 Genesis 3 Design Schools in Morro Bay, California; Lyon, France; Brisbane, Australia; Nordhorn, Germany; and Bali, Indonesia from 1998 to present. Speaker-Topic "Advanced Pool and Vanishing Edge Design" for the Society of Landscape Designers in Tucson, Chicago, and at Hocking College in Ohio from 1999 to 2004. Speaker-Topic "Pool Design in the Natural Environment" at the Chicago Botanical Gardens 2002. Speaker-Topic "Genesis Presentation" – Aquanale, Germany 2007. Speaker-Topic "Technical Applications of Water in Transit" –Florida Pool & Spa Show, Orlando 2008 & 2011. Speaker/Co-Instructor – Topic "Audible and Visual Considerations of Water Feature Design" – Riviera Pools, Schools in Nordhorn, Germany, 2012, 2013, 2014. Design 101: Introduction to Perspective Drawing; Design 301: Marker Rendering; Design 102: Sketching and Freehand Communication; Design 311: Applied Materials & Finish Details; Design 211: Elements of Design; Design 30A: Recognizing European Architectural Styles; Design 30B: Integrating Riviera Pools into a Master Plan; Design 30C: Collaborative Project Profiles; Design 30D: Rendering Options, Benefits and Drawbacks; Design 30E: How to Design and Outdoor Living Space; Design 30F: Freehand Sketching in Perspective; Design 30G: Audible and Visual Qualities of Water; Design 30H: Residential Sensibilities for Commercial Pools & Spas. Hosted the first Congressional reception for the pool and spa industry in Washington D.C. in 1993. Made several local and national television appearances representing the pool and spa industry. Supplier of definitive vanishing edge design information to hundreds of pool builders internationally. Co-edited and co-authored “Mastering the Illusion,” Pool and Spa News January 1993 and 1998. Aided the California State Contractors License Board in developing the new C-53 license test in 1987. Author of “Water in Transit”, WaterShapes Magazine November/December 2002, The Enchanted Hill: A look at Hearst Castle’s other watershapes January 2002, Gaining an Edge: Creative relationships between water and deck June 1999, Made to Order: The creative vision and a builder’s own pool June/July 2000, Quiet Efficiency: Reducing cost and noise with new pump technology May 2006, as well as coauthor of Cutting Edges: Grand-scale construction with an improvised spirit April 2007, with Rick Anderson, Brian Van Bower, Richard Dube and David Tisherman. Requested to be a guest writer for Piscine Oggi Magazine in Italy – the only American profiled in magazine. Expert witness for the State of California and civil litigation since 1984. Participated in excess of 300 cases, including jury trials, binding and non-binding arbitrations, mediations and Administrative Judge hearings. References are available upon request. Questar is honored to work with Valley Pool & Spa owner Gene Brown and his family in executing our visions in Canada. "Gene executes complex projects at a world class level!" Click here to visit Valley Pool & Spa and learn more about Gene Brown.